Summer 2008. Silvio and I meet in Switzerland. 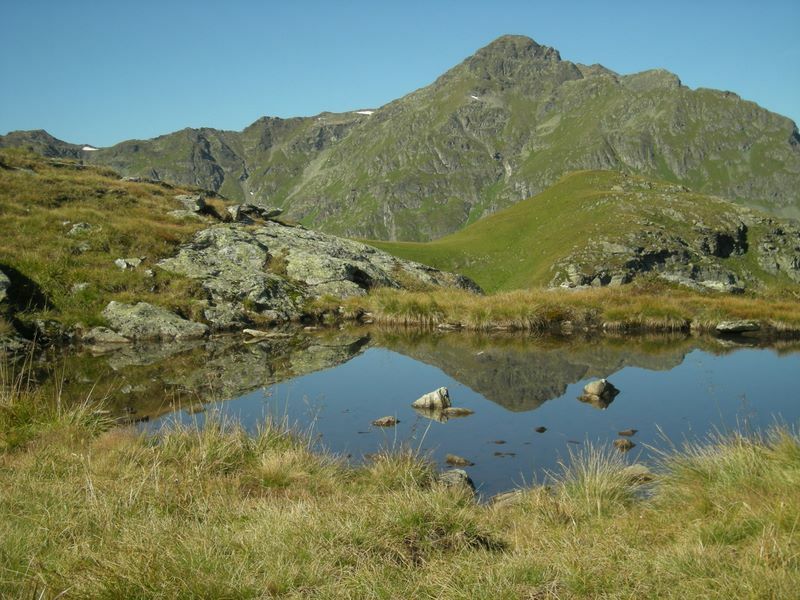 Our idea is to go hiking for a few days in Vorarlberg in Western Austria. Just a few years ago, we were both unable to walk just a few hundred meters uphill - the result of some hard years of zero sports but loads of cigarettes. So what's gonna happen this time? Our base camp is in Schruns, just a few hundred meters away from a cablecar leading towards the timberline underneath Zamang and Hochjoch peak. We have had some drinks the night we arrived in Schruns, yet managed to get one of the first cable cars uphill on the first day. Sunshine, perfect weather. Coffee on the veranda of the restaurant beside the hill station and a splendid view over the valley and the neighboring mountains. We climb up towards Zamang peak. Sweating out last nights beers and cigarettes. 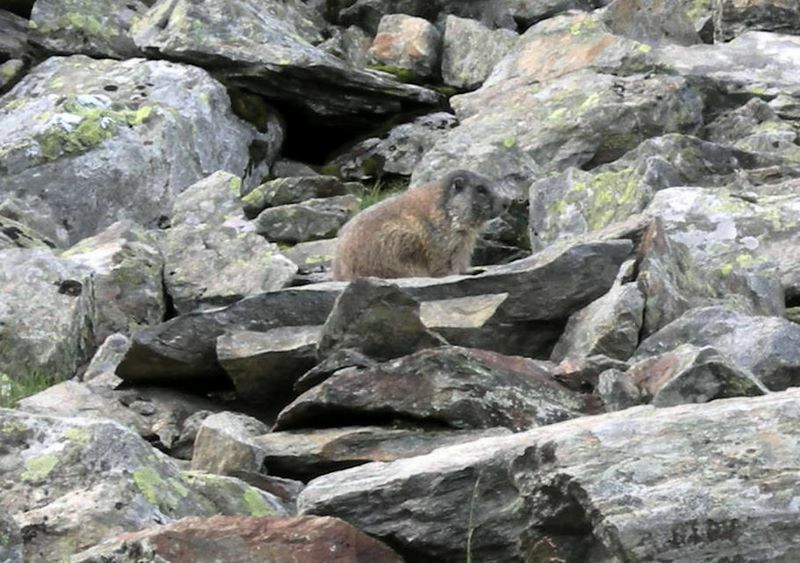 Marmots watching us, and we watch them. 'Wouldn't it be good being a marmot? Everyday just watching down into the valley' we ask ourselves. Our goal - reaching Zamang peak over a long tightrope walk - turns into a Mission Impossible. We hike the small footpath. Nothing above us but the blue sky. The sides of the trail fallig down very deep, and very steep. With shaking knees we decide to abort this stupidity - and run for a less adventureous peak one or two hours away. This time we succeed. It's getting later, so we take the long way down by feet, slowly returning from the rocks into small bush- and alpine grazing land. Luckily, a local gives us a lift into the next village. We celebrate the achievements in the pub. Lets just say, we didn't do too bad for the first day in the mountains. The following day we take another cablecar in the neighboring village Gaschurn. New adventures ahead with perfect hiking conditions. Steep trails towards Zwischenspitz. We overtake a few elderly hikers in the rock fields. Meet them again while we have a cigarette break. Great view over the surrounding scenery. Distant sound of cow bells. Up here, everything feels different, pure and natural. An old local lady we met twice during our tour joins us for some wine back at the cable car station. She says she's hiking every day since her husband died. That's all she ever wanted, and me becoming more and more adicted to the mountains, I can understand her perfectly... In the evening we meet my cousine who is working in Schrunz and Silvios girlfriend in the pub at the train station and make plans for the next adventure in the mountains. By car we drive up to the Silvretta reservoir on the next morning. We take a long hike up a small rocky valley towards the "Hohes Rad". Crossing snow fields in August feels weird. In the distance, we see mighty glaciers. We stop by on a flat area below the peak itself. Silvio and his girlfriend decide to go for a nap. And foolish me tries to go up to the peak. A sign indicates there were no marks and it was dangerous to go up. Anyway... First try - I end up climbing two or three meters. That feels utterly wrong with no securing ropes and no marks where to go next. Then I find the proper trail and try my very best. My shoes slide on the steep path with small stones on the rocky surface. I wonder how to get down safely again. A cigarette a little below the summit cross with shaky knees. Time to walk back. Hiking back down on detritial slopes for more than an hour. Silvios girlfriend wins a bet by collecting a thrown stone out of a small icy lake. After these adventures, we decide to relax and go for less long ambitious hikes in the lovely woods below the timberline. Still steep trails, and lovely scenery. What a fantastic holiday!